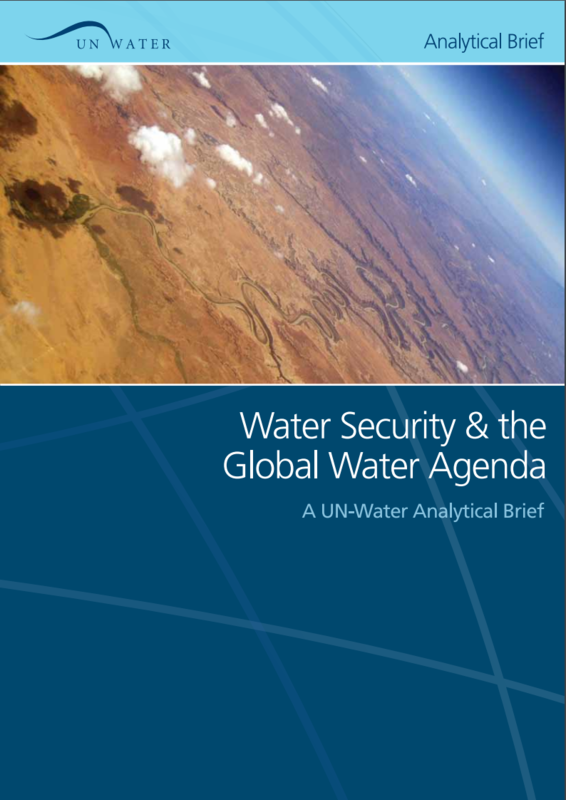 This analytical brief proposes a working definition of water security developed from contributions made by the broad range of organizations, agencies, programmes and institutions that form UN-Water. It is intended to serve as a starting point for dialogue on water security in the UN system. The Brief, produced by UN-Water Task Force on Water Security, aims to capture the dynamic and constantly evolving dimensions of water and water-related issues, and offers a holistic outlook for addressing water challenges through the umbrella of water security. This working definition will facilitate critical work. Most immediately, it will be considered by a group of 30 Member States, headed by Hungary and Kenya, tasked with drafting the post-2015 Sustainable Development Goals. That report, anticipated around mid-year, is then expected to be taken up at the annual UN General Assembly in September 2013. Note: By nature an Analytical Brief is a discussion piece that can be revised to integrate new evidence or feedback. The brief was slightly modified in October 2013 to incorporate Member States and stakeholders feedback after its initial publication in March 2013. The version available at the link below is the latest version.